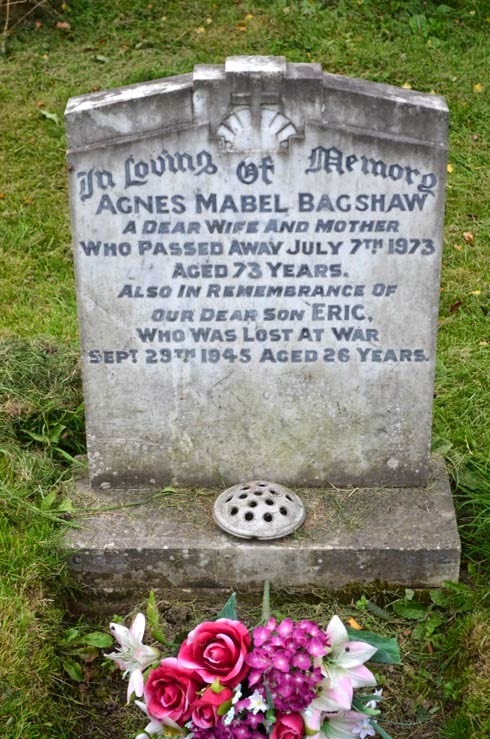 In Loving memory of / Agnes Mabel Bagshaw / A dear wife and mother / who passed away July 7th 1973 / aged 73 years / Also in remembrance of / our dear son Eric / who was lost at war / Sept. 25th 1945 aged 26 years. Eric is also remembered on the Cawthorne War Memorial. He is remembered on the Brookwood Memorial in Surrey and commemorated on the Commonwealth War Graves Commission website.